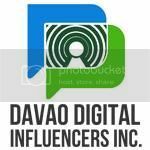 DAVAO BLOGGERS SOCIETY held an ACQUAINTANCE PARTY at KRISPY KREME SM LANANG PREMIER. Happened to be my first time to enter their store, its popularity has made me eager to have a taste with their doughnuts. 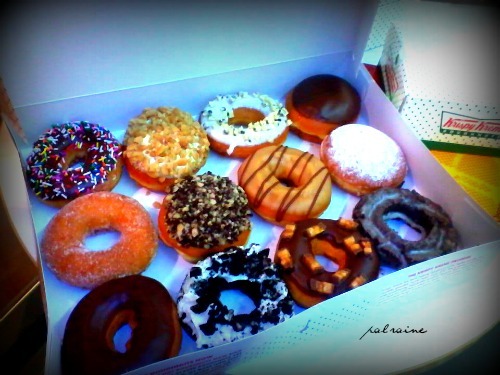 And as one of the major sponsors, food serve that time is their ASSORTED VARIETIES of DOUGHNUTS. Yes this is it! 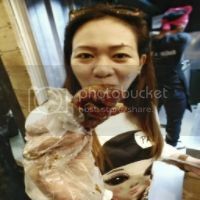 I will have my first time bite with the popular doughnut in town. I choose KRISPY KREME PEANUT BUTTER and KREME. Everyone who knows me understand that my most steadfast love is peanut butter. Mix with bread or rice or banana or anything that makes my mouth watering. It's always my ritual that when I have my peanut butter I rigorously embrace it! SALIVATING? YES! When I taste their PEANUT BUTTER and KREME, the HEDONISM really kicked in. Why? PLEASURE OF TASTE. 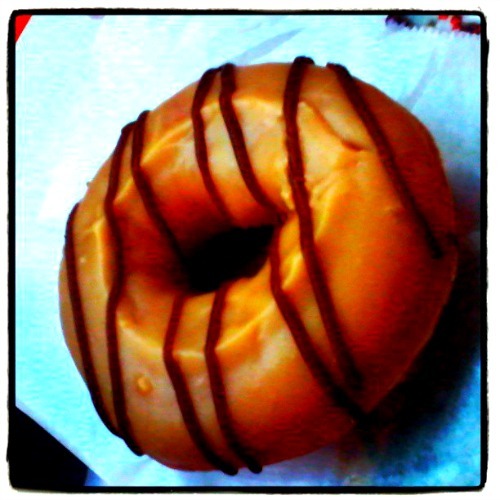 Because what I taste is something explicit, the saltiness and crispness really add flavor and texture to the doughnut. This doughnut is ridiculously sweet and nice to partner with HOT or COLD COFFEE. YOU WILL LOVE OUR COFFEE AS MUCH AS OUR DOUGHNUTS. 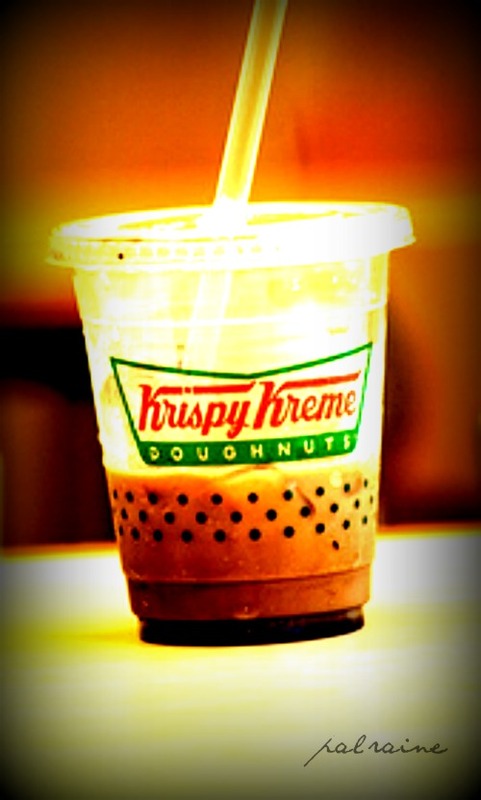 I choose to match my doughnut with their Krispy Kreme Iced Coffee. The coffee was smooth and subtle, the bitter after taste of their ICE COFFEE is great, it pleased me a lot because it really match with the sweetness of my doughnut. I thought my craving ends there, but it's not. Another KRISPY KREME product was given to us, the KRISPY KREME KRUFFINS. 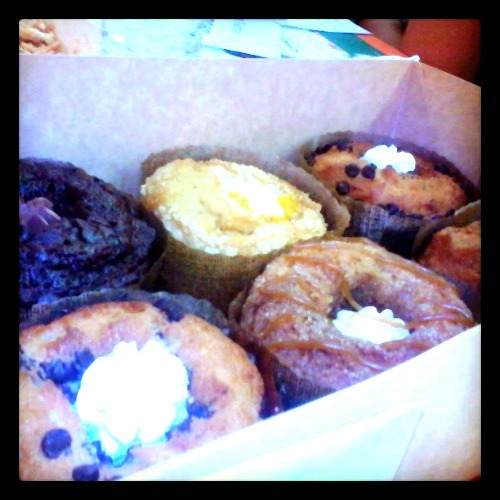 Need to choose one, I pick the KRISPY KREME CHOCOLATE CHIP KRUFFIN. 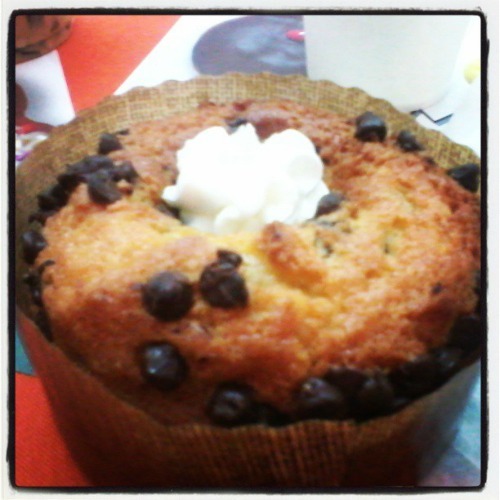 I was able to try their CHOCOLATE CHIP KRUFFIN and I loved it! 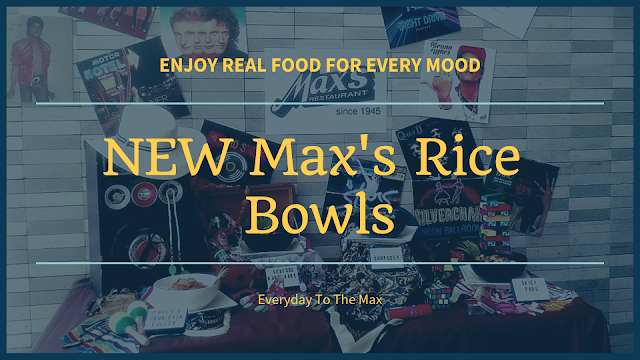 Not so sweet and what makes me go gaga with this food is that it is freshly baked a perfect match with their hot brewed caramel latte. Since I already have my ICE COLD COFFEE, I did not order for more. 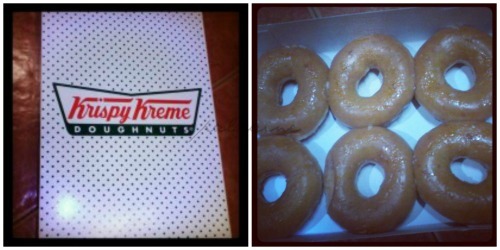 Their doughnuts are really mouthwatering and addicting. I'd recommend the place for hanging out for a couple of hours or a casual rendezvous. And for take out, 12 doughnuts for the price of 295 and 395 only. 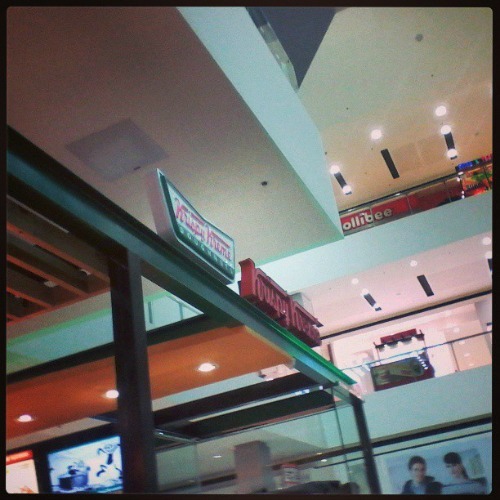 Special thanks to the DAVAO BLOGGERS SOCIETY for inviting me and to our major sponsor KRISPY KREME PHILIPPINES, Inc. 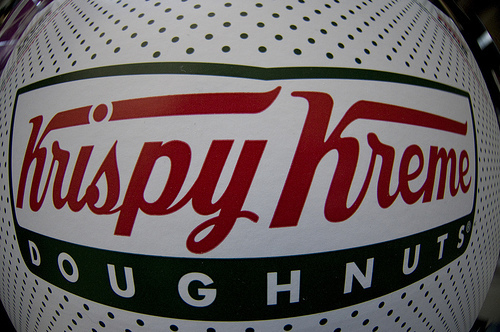 I like Krispy Kreme donuts but I think the best one would have to be the classic. Others are too sweet. 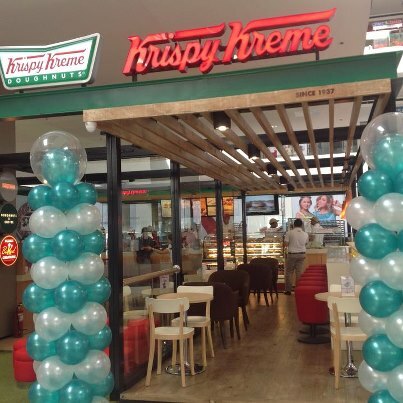 omg it's a new "tambayan" for those who are living near SM Lanang Premier! It was nice seeing you at the acquaintance party :) See you in our future DB events, ate!